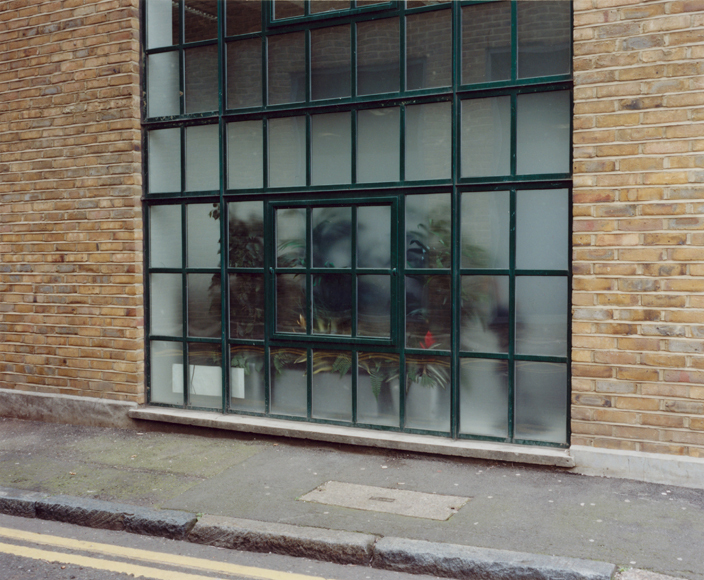 Kajsa Johansson is a young Swedish photographer who has completed her Photography degree at Middlesex University and now teaches fellow students C-Type darkroom printing. 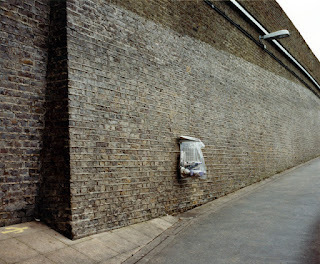 Her latest work Considering Corners captures the mood of the East-end where she has been living for the last 2 years. She uses colour film and Mamiya 7 rangefinder. She submitted her work after reading my article in the latest Uncertain States issue 12. Many aspects of the Considering Corners drawn my attention and I am going to explain why her work is relevant and unique. First, Kajsa decided to use film to capture her daily life. It comes today a bit as a surprise when a young artist decides to use film because it feels like incompatible with younger practices. Nevertheless after meeting with Kajsa it all makes sense. She is a timid, reflective and sensitive person who requires time to let the impressions come to her. She is not attracted to produce many bodies of work to sharpen the versatility of her medium but she rather discovers the world around her with at a slower pace, harmony and doubts. 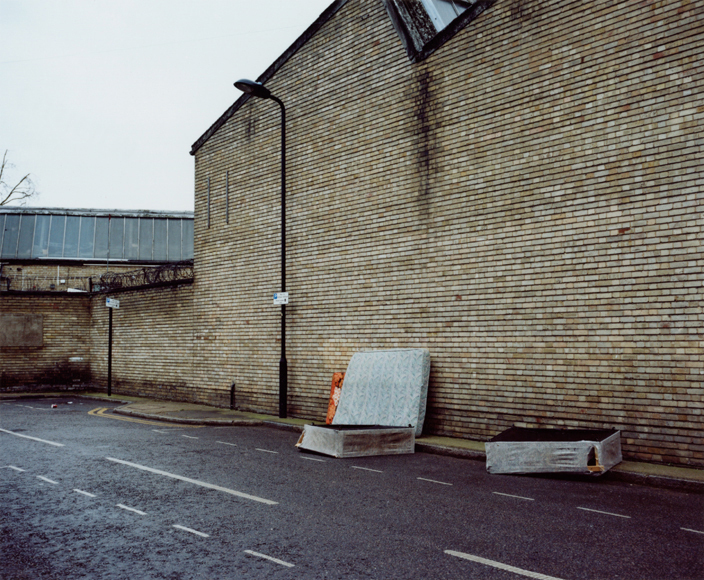 Kajsa walks her Hackney streets every day and senses the rawness or reality of the present. To her, as she realises, Hackney is the only and perfect place for her to feel and live that sentiment, because its constant unpredictability makes it very appealing. Reading the title one might expect to observe a succession of corners that would depict something very literal but instead Kajsa frames mundane scenes that transcend their banal state. Her photographs are never truly frontal neither using tricks or repetitions. Most pictures are produced with low light conditions and her film absorbs the ghostly presence of the moment chosen. 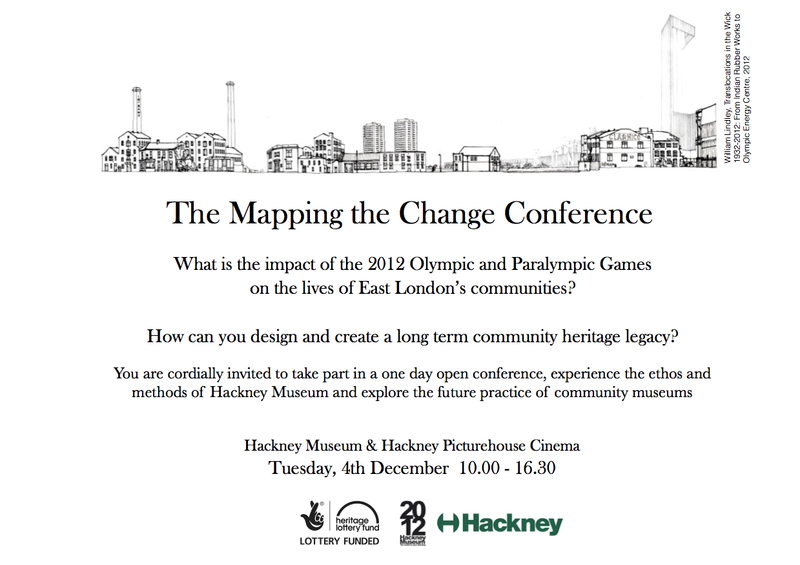 Those images have been taken in the last year and half whilst the East-End was bursting with the Olympian momentum and all that follows. But again, there is no reference at all to that recent episode. 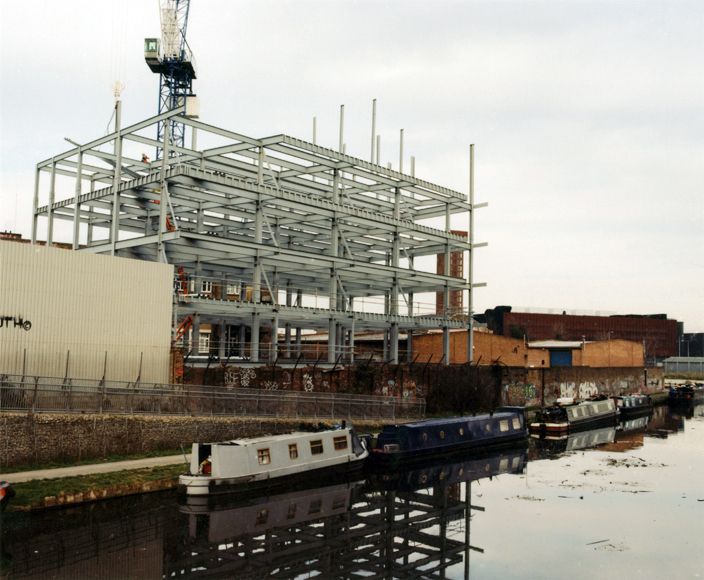 Instead, Johansson walks and photographs with no attention to the vast rejuvenation or sporting event nearby. 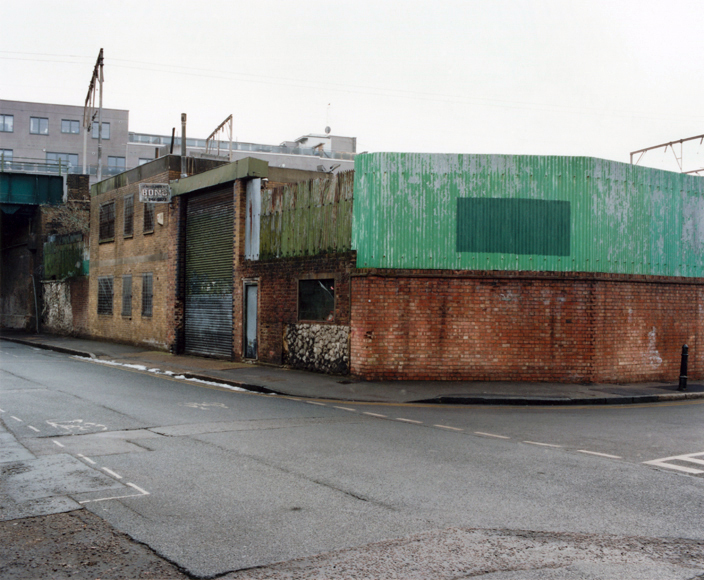 Her eye is attracted to the sense of space that emerges from the East-End and Hackney especially. This part of the world is her new life, something she might have expected for a while maybe, without knowing it. 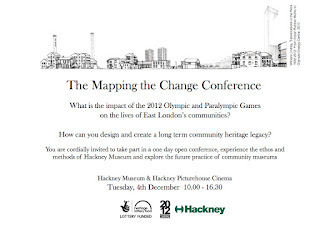 She tells me: "Hackney is a place where things can happen, a community that shares and where its marginality enables me to believe that things can be done out of nothing". Well, maybe it is me who is saying that on her behalf, but I understand what she means because I have felt the same whilst living for years in the borough. And things happened then, a lot of good things. Maybe not all good as we might expect but this is Life at its best, a place where your senses and moods are extremely sensitive. It is a place that does not allow rest, it is a place bursting with vigor and exchange. 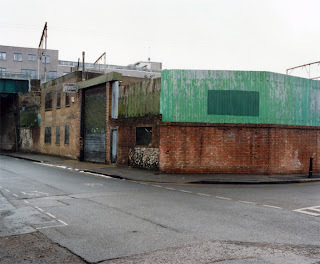 So Kajsa Johansson isn't showing corners as dead-ends, final destinations, remains or alienation. She is capturing beautifully a reality that most people do not question or reject. Her photographs reveal in fact a lot of subtle touches that she should analyze deeper to understand many factors as much historical as emotional. She is obviously very attracted to walls (and I am too) The walls framed not only reveal patterns but most importantly a finish and layers of time as if you were to cut a tree to read its rings. The East-End, as most East parts of capitals, attracts the foreigner because it is more affordable, there is a sense of solidarity and because customs of various communities merge better. This is the place where many have lived, settled, made business and got back or moved on. This is a land of experiment where you start from scratch and you make your best to leave your mark or to get noticed. That need for imprint is essential and unique in the East-End. This is a statement of labor, determination, belief or despair that can be found the multi-layering of painted walls or fences. Before we envisaged the new term Graffiti there were signs of life, passages and attempts which are relevant in this part of London. And maybe that is what Kajsa's corners are about, about delivering those instinctive and almost paranormal messages that make the urban landscape of Hackney so special. In fact her "non-characters" images are full of presences. As I always say, London isn't so much about beautiful architecture but it is about people. And I think Kajsa feels the same. Even by avoiding photographing people she succeeds in portraying the essence of a place by focusing on details left by its inhabitants. 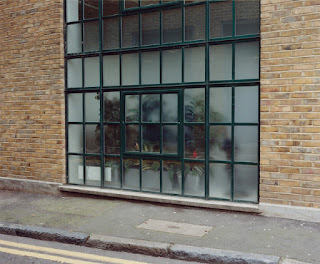 Kajsa Johansson's photographs do appeal to me a lot too because they are humble. They are shot at human scale and strictly show what she sees. There is no radicalism or structured method in her approach and she leaves room to improvisation, surprise and introspection. She alternates distances and subject matters that will create a coherent and justified ensemble. She can be photographing from across the street where the sky will appear, but she can also isolate one detail from the pavement and be read more strict of minimalist. 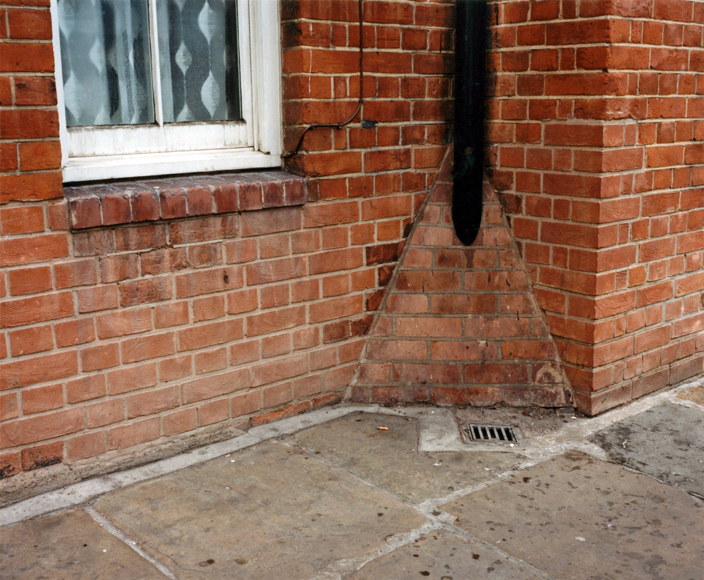 She can photograph the nearby and frame one unique element, or can can play with geometries of the urban ever-changing resurfacing and produce some laughter. Her series could be read as dull or depressing for many, but for me there are full of humanity and anecdotes. Works that are often perceived as not strong enough and often much more revolutionary, progressive and playful that one might think. Finally I would like to quote Walker Evans on a lecture he gave at Harvard University in 1975, two days before he died: "I haven't got a rational structure and the expressible, critical opinion of what the subject in front of me means on second thought. I do these things pretty much by instinct, and I have learned to trust that instinct. It took me a long time to feel sure of what I was doing. Now I know that when something appeals to me, I don't have to think about it; I just go right to it and do it"
We shall never doubt the irresistible power of intuition. To recognise it and live by it is a sign of wisdom, to condemn it and reject it is an act of dehumanisation. Johansson's work has this freshness of the newcomer and the sensibility of photographing something vibrant. She captures beauty and tells stories of what the East-end is in relation to her own new experience. She proves to be very mature in the understanding of the medium as much as her methodology despite confessing she struggles putting words into her actions. I am delighted to introduce her to our collective and to make her work accessible to our followers. 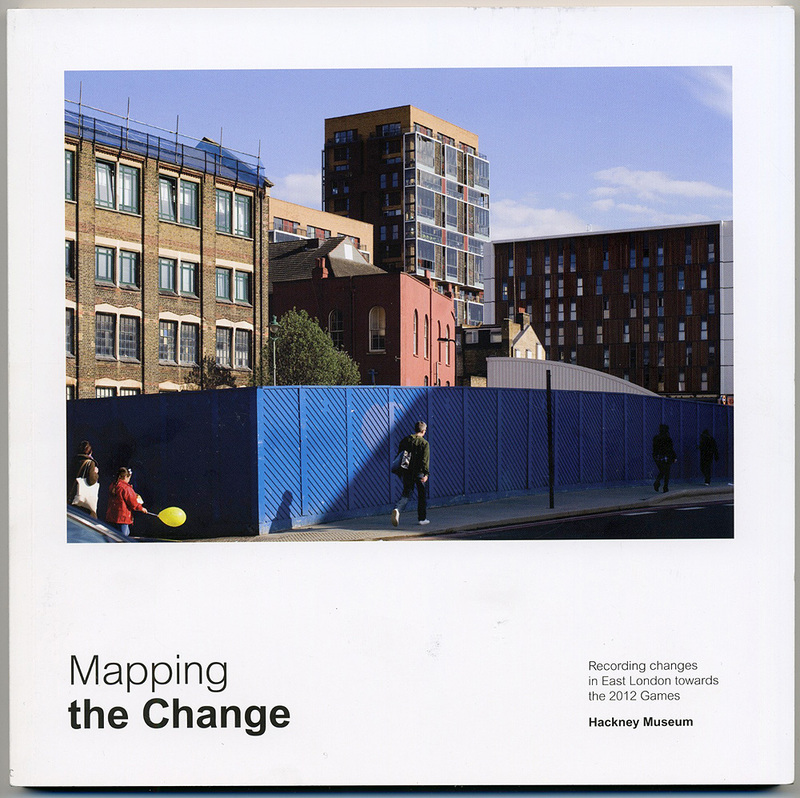 Hackney Museum has just released a book of the Mapping the Change project that records the changes in East London towards the 2012 Games. 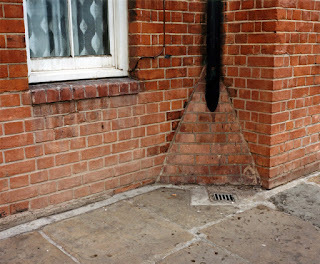 Inside you will find quite a few images from Arnau Oriol Sanchez for being commissioned by the borough. The cover photograph is also his. This book costs £4.50 and is primarily available from the Museum.